Plaza South condominium has three wings that are 15, 25 and 30 stories high, all these together make up the 336 units in the complex. Plaza South has only two residential units per floor with private elevators. Plaza South features a huge assortment of ammentities including a heated Olympic size pool, a beautiful lounge, saunas, exercise room, billard and ping pong room, library, card room and 24-hr security allowing the residents to enjoy Fort Lauderdale living at its best. Plaza South naturally features Ft Lauderdale #1 ammenity a spot right on Ft Lauderdale Beach. Eric Miller and Associates, are always available to help you buy or sell real estate in the area and will be happy to show you Plaza South. You can Contact us directly at (954) 383-8170. 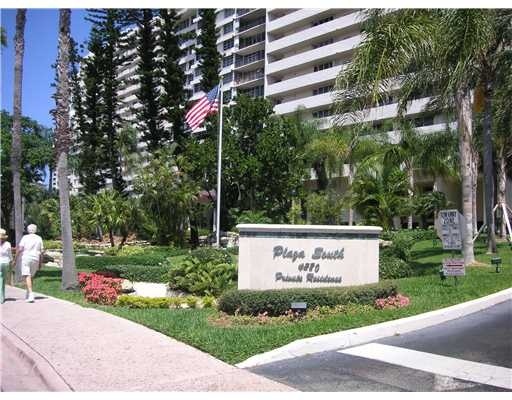 Fort Lauderdale Condos in the the Fort Lauderdale Beach area worth a look.